A ‘People’s vote’ on Marriage Equality: A repeat of the Republic debate? According to our Prime Minister, he is champion of the people’s will when it comes to marriage equality – offering a ‘people’s vote’ over a ‘politician’s vote’ dictated by what he calls ‘stalinist rules.’ Certainly sounds like a no-brainer. Who would pick Stalin over the good people of Aus? We do live in a democracy after all – not Stalinist Russia – we should get a say. Is Abbott really trying to facilitate the possibility of an outcome that might go against his stated position against marriage equality? Or is he taking a leaf out of his favourite ex-Prime Minister, one Mr John Howard’s playbook. Let’s roll back the clocks and have a look. Roll back the clocks to late January 1996…. Aussies have just passed a summer rapping to Gangsta’s Paradise and singing along with Seal. 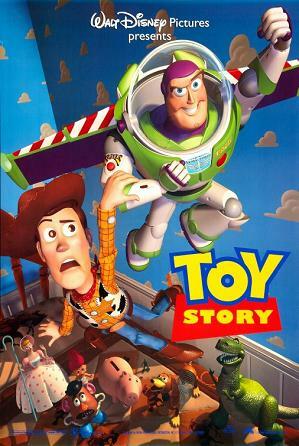 Toy Story is one of the most popular movies. And more importantly – for our story at least – an election has just been called for March and one of the key election issues is whether or not Australia should become a republic. The push for this change had been mounting for a while. As early as 1977, polling showed that 58% of Aussies accepted that we don’t need a Queen. By the early 90s, the republican movement had critical momentum. In 1993, Prime Minister Paul Keating created a ‘Republic Advisory Committee’ to look into what changes would be needed to the constitution for Australia to become a republic. The chosen chairperson for this committee was then banker and lawyer, one Mr Malcolm Turnbull – but that’s another story…. Following his election in March 1996, John Howard kept his pre-election promise, and set up a ‘people’s convention’ to consider whether Australia should look at becoming a republic, and if so, what that would look like. He said he didn’t want to rush this because after all, ‘things won’t really change too much’ and there are ‘more important things to focus on than a republic’. So it’s not until early 1998 that the people’s convention meets and comes up with a number of different models for an Australian republic – which mainly focused around who would replace the current Governor General (the Queen’s representative in Australia). Support for Australia to become a republic had not waned during the 90s. The following graph shows opinion poll results on the question of Australia becoming a republic from 1993 to shortly before the referendum in late 1999. The green line represents the percentage of people who were for Australia becoming a republic, and the red line is people who were against it. Clearly the number of people who were pro-republic was materially higher than those against it. So how exactly did John Howard get the ‘people’s vote’ to go his way? For Australia to become a republic, a referendum is needed to change the constitution. Howard clearly knew that a majority of Australians were pro-republic – so a simple vote as to whether or not Australia should become a republic was very very VERY unlikely to have gone the way he wanted it to. But like Abbott today, Howard never let a little thing like public opinion get in the way of him achieving his goals. The key to reducing the ‘Yes’ vote was to divide and conquer. Simply put – those who were pro-republic didn’t all agree on which republican model Australia should adopt. The most popular model that came out of the people’s convention in 1998 was one where the public voted in a President to take the place of the Governor General. In fact, over 70% of Australians said that they were in favour of this model. A less popular model was one where the parliament voted for who was President (instead of regular Aussies). Combining the issue of whether or not Australia was to become a republic with the issue of what model should be used – asking only one question, and not two. ONLY offering one republican model to the Australian people – and not the one that most people were in favour of. Instead he put forward the less popular model where politicians got to choose who the President was. Howard could have split this into two questions, asking first if people approved of Australia becoming a republic. And secondly, asking people which of two republic models they preferred (in the event that sufficient people voted yes in the previous question). But he didn’t do this. By tying the question as to whether Australia became a republic to the less popular republican model, Howard all but guaranteed that the ‘Yes’ vote in favour of a republic would fail by dividing the pro-republic camp. And it worked. Instead of uniting against the ‘no-voters’, a portion of the ‘yes’ side switched camps, many under the mistaken belief that support for an Australian republic was so strong, that if the model they disapproved of was voted down, they would get another go at a vote for the model that they favoured. The vote for Australia to become a republic was defeated – 55 to 45. And so tricky Howard, the staunch monarchist, was able to say that ‘good sense’ won out – that Australians had abandoned their desire for a republic, successfully hosing down the republic movement, which has been unable to gain any significant ground since then. Certainly it is not an issue that is commonly on the public agenda today. This is not true of course – it’s another of Mr Abbott’s Truthiness phrases – but it does reflect Tony Abbott’s view on marriage equality. And just like Howard, he is faced with the fact that a clear majority of Australians don’t agree with him. In fact, according to regular polls which indicate that around 70% of Australians support marriage equality, an even greater proportion of Australians support marriage equality than did a republic. Remember that he is the servant of the Australian people, our representative and not our ruler – and allow a ‘conscience vote’ permitting representatives in the LNP to vote in a way that represents their particular electorates. But if he did that, he’d risk not getting his way. Come out strongly against marriage equality and seek confirmation from his LNP colleagues that this is their ongoing policy. Certainly based on last week’s party-room vote it seems that a majority of LNP representatives and senators do not support marriage equality – so he’d be likely to get backup in the party room for this. But if they did this, Abbot would risk Labor making this an election issue which might win them valuable votes – and let’s face it, he’s already looking pretty shaky. Since neither of these options would lead to Abbott’s desired outcome on this issue, what he did instead was to ‘stack’ the party-room with National party imports, just to be doubly-sure that he had the numbers to stop marriage equality going to a conscience vote. But that wasn’t enough. Abbott knows that he needs to neutralise marriage equality from becoming a problem for him at the next election – just as Howard did with the republican issue back in 1996. So Abbott, like Howard before him, has committed to putting this important issue to a people’s vote. And just like Howard, he has committed to do this in his next term of office – not straight away of course, but within three years of being elected. Just as Howard did. According to Abbott, a vote for him is a vote for a people’s choice on marriage equality! Finally a story that is salable to the electorate and can potentially neutralise any advantage Labor has from its pro marriage equality policy. But do we even need a people’s vote to introduce marriage equality? Unlike if Australia were to become a republic – which does require a referendum in order to change the constitution – a change to marriage laws doesn’t require a change to our constitution, and therefore doesn’t need to be put to a referendum (or plebiscite – which is essentially just a large opinion poll). And people’s votes aren’t cheap – at least the way we do them currently. And while I’m all for people getting more involved in our democracy, at a cost in excess of $100 million, this is a HUGE expense, and will probably mean funding needs to be cut elsewhere. We’re already going to the polls to vote at the next election. If Abbott is so committed to a people’s vote, he could put the question to us then. This would be a much cheaper and quicker way to give the people a vote on this issue than by undertaking a completely separate vote. But of course, according to Abbott, that would be distracting for us poor little voters. Apparently we’re unable to make more than one decision at a time. On the face of it, a people’s vote on marriage equality sounds like a good thing to do. But if Abbott is following Howard’s Playbook, then he will be looking for a way to divide and conquer on this question, just as Howard did with the republic. And if he succeeds at this – as Howard did with stopping the republic movement – at the end of the day, we’d be over a $100 million worse off, still not have marriage equality in place, and potentially set back the marriage equality movement for decades. I’m calling it. The evidence is fairly conclusive – ‘People’s vote’ is a Truthiness phrase. When Abbott uses it, he makes it sound like he is supporting popular opinion on marriage equality, when all indications are that he is doing everything he can to make sure he gets his way on this issue.